GCH Pun Kotzky Fete de la Musique "Bonny"
The puppies from Bonny's first litter all went to show homes in four countries and have already started making impact in the show ring around the world. 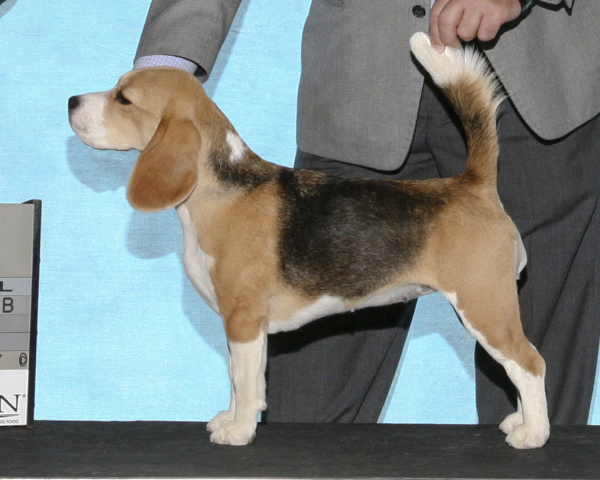 Hound group winning Echo owned by Clint Pristupa in Canada became a Canadian Champion at the tender age of seven months. Jonas owned by Candice Louis in France made us proud winning Best in Show Puppy at the Europian Dog Show 2016 in Brussels, Belgium. Bonny retired after her second litter and enjoys her retirement days with a wonderful family in Connecticut.